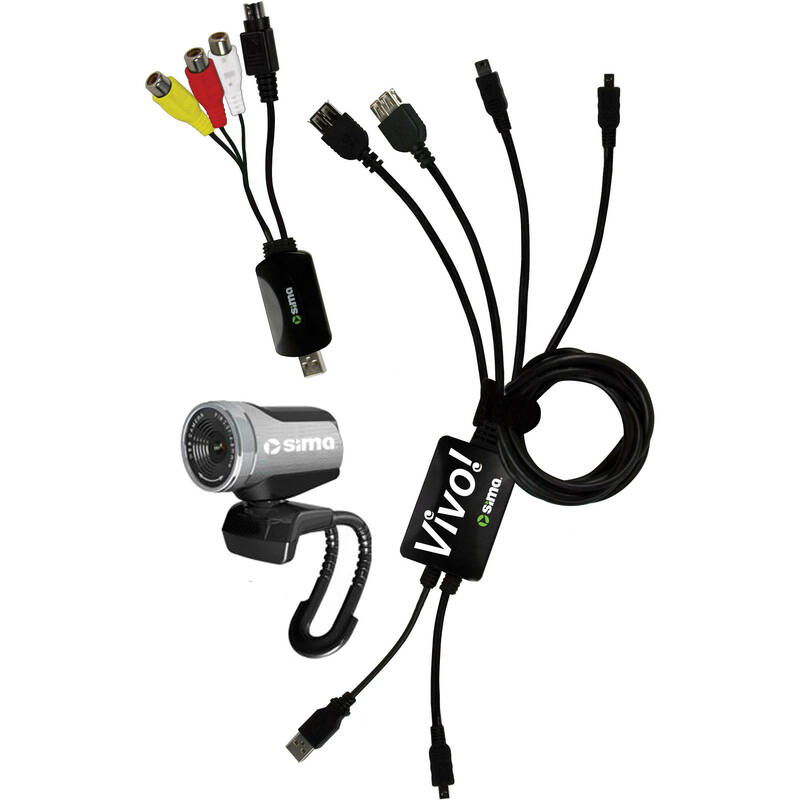 The Vivo Video Streaming Kit for Camcorders from Sima is a USB hardware device which allows you to stream live video from your camcorder via the Vivo online video streaming service. It allows you to connect a camera that features analog RCA composite, digital FireWire, or digital USB output to your computer for live streaming. The device is compatible with Windows-based computer systems. A coupon for 4 hours of free video streaming via Vivo is included. Box Dimensions (LxWxH) 11.4 x 6.1 x 3.3"
Vivo Video Streaming Kit for Camcorders is rated 2.7 out of 5 by 3. Rated 2 out of 5 by smaknstein from Talked into it. Not really necessary. Picked it up for a UStream project @ work. Accomplished the same result via a 4-pin Fire-wire cable and 1/8 stereo mini cable. Software is OK I guess but fail to see the value in the package as a whole. Rated 1 out of 5 by Phil McWilliams from Not worth the money I was recommended this product to use with iHigh Production Truck. This product came with several adapters, but none of them worked. The webcam broke and the FireWire adapter broke when I tried to remove a cable from it. Rated 5 out of 5 by Walt Rivers from Solid Product Keep me from having a drawer full of connectors.